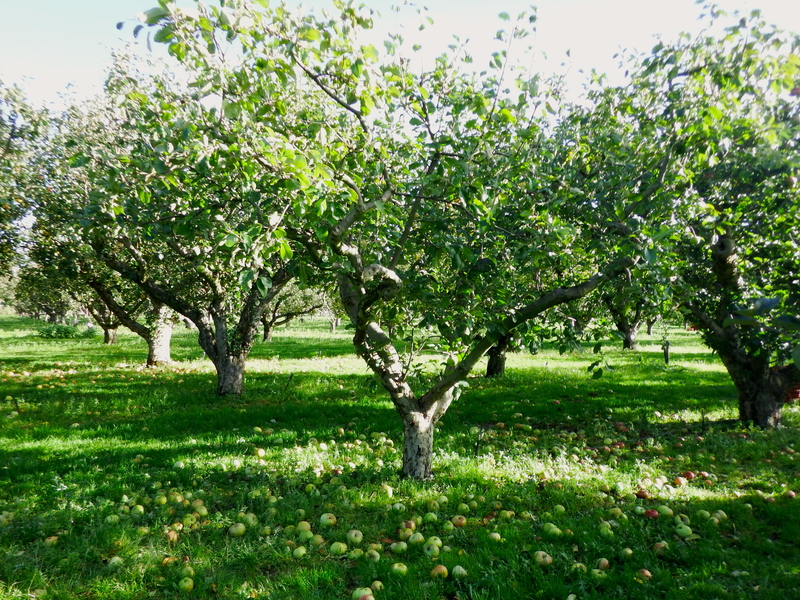 By all accounts this year has been just perfect for apples; a cold Winter followed by a long hot Summer has led to excellent crops both in terms of quality and quantity. 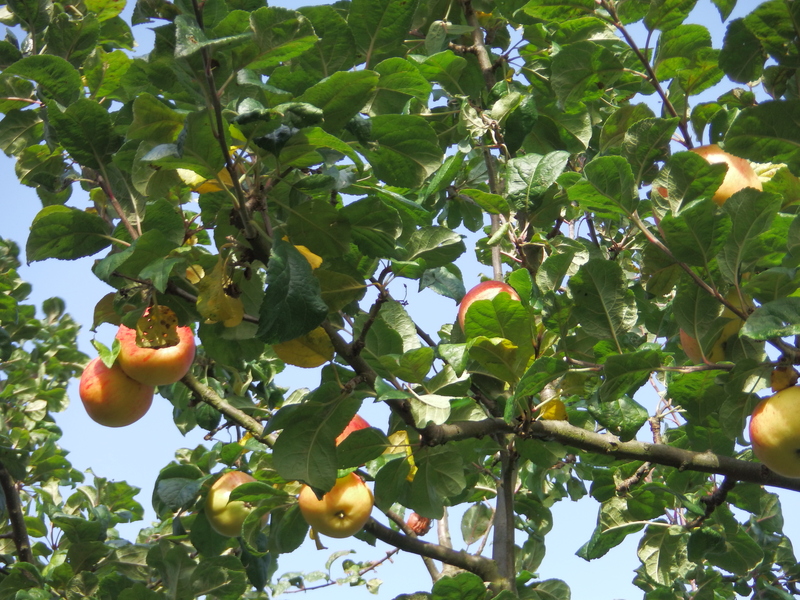 Last week via twitter RHS Wisley invited visitors to come and ‘forage for free’ from the windfalls in the fruit orchard. 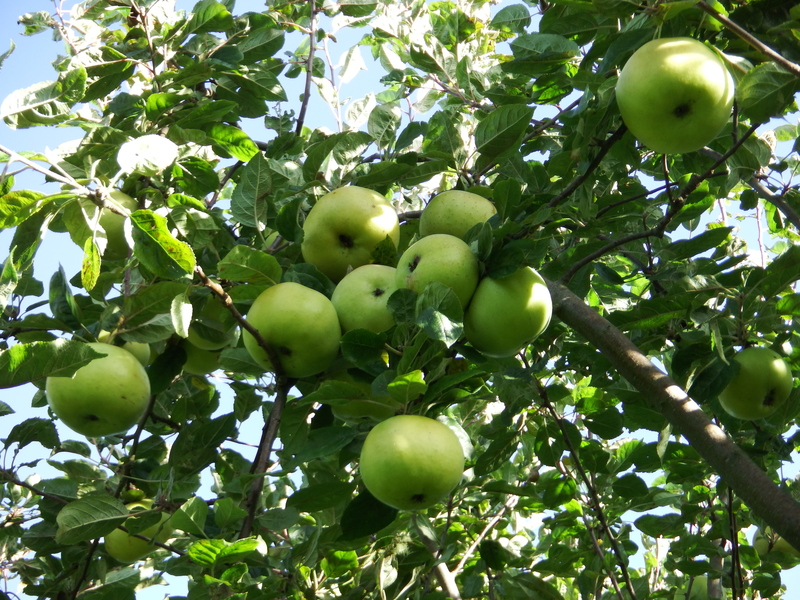 We grow dessert apples at the plot but not cookers so it seemed like a great opportunity to stock up. So having bribed Derek with the prospect of a breakfast at The Honest Sausage, we went first thing on Sunday morning. As ever there were plenty of staff around with collecting bags and good advice and of course plenty of fruit. The two varieties we settled on were Beauty of Kent and Edward VII seen respectively in the photographs below. 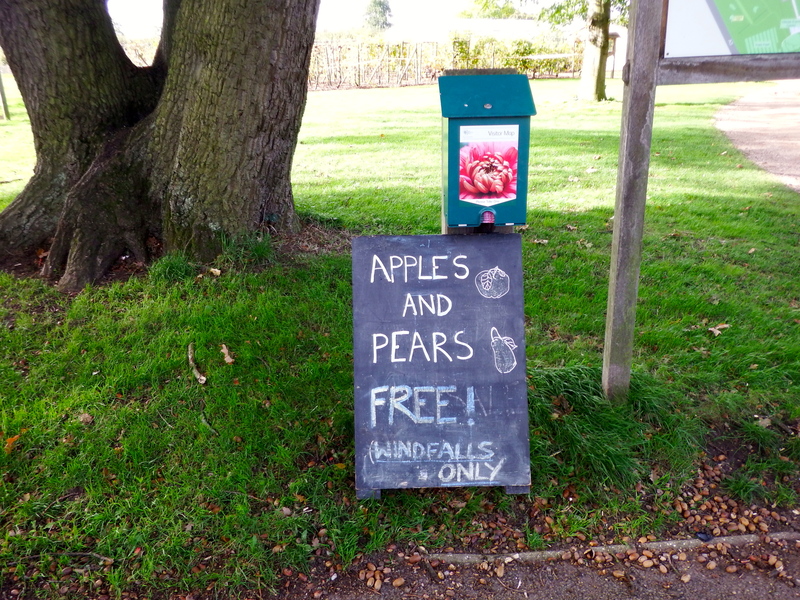 This is also worthwhile if your’e thinking of planting trees and would like to see and try the fruit first.